I love healthy Weight Watchers breakfast recipes and this super easy green smoothie recipe is the perfect choice for a fast, delicious and easy on-the-go meal. Healthy green smoothies don’t have to be scary or gross. This recipe proves that a an easy green smoothie recipe can be delicious and include antioxidants, nutrients, vitamins and of course fiber. Our friend Emilee made this recipe for her three kids and they all loved it. If that isn’t a seal of approval, then I don’t know what is. 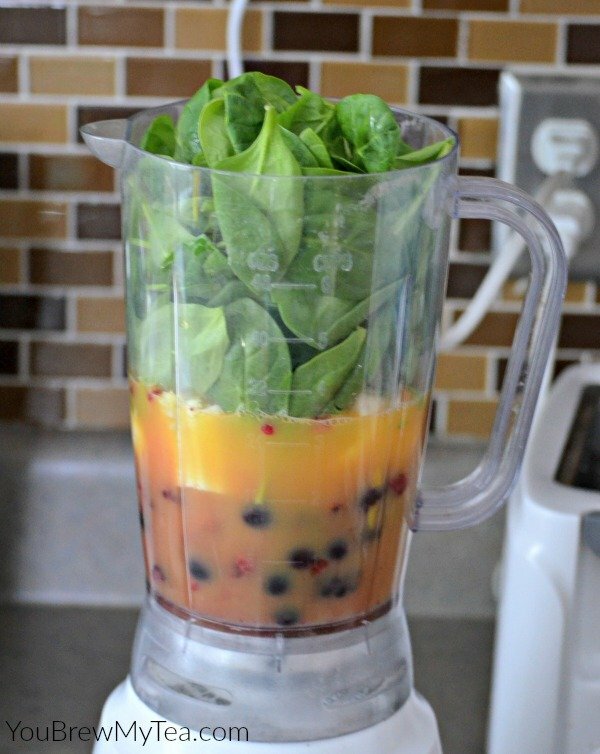 This is one of my favorite Weight Watchers breakfast ideas because it is fast, easy and satisfying. It fit great into Emilee’s budget, and as you can see it was easy for her to whip up in a blender. No fancy ingredients or extra work required. A quick and easy Weight Watchers breakfast idea that is good for the entire family. Who wouldn’t love that? Green smoothie recipe ideas are all over the internet, and many include kale, spinach or even avocado. I personally, look for great recipes that include minimal ingredients and are cost effective. Spinach is one of the less expensive greens and is versatile throughout our diet. That made it a great choice for me, and obviously for Emilee with three growing children. 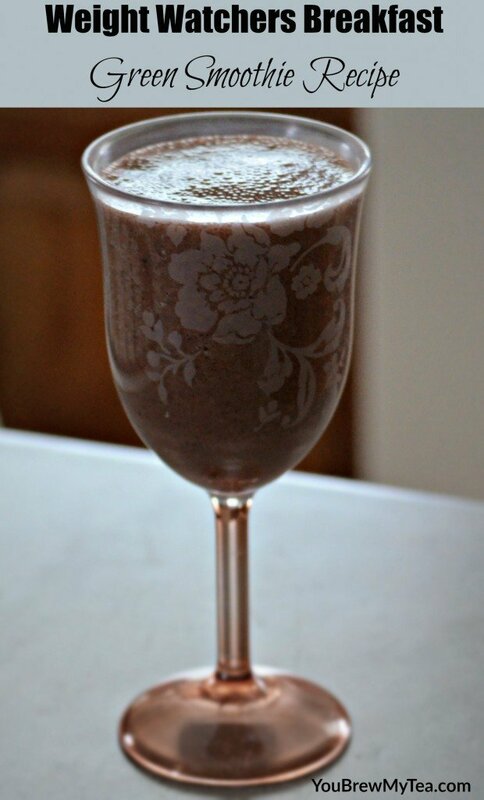 If you are using this as one of your green smoothie recipes for weight loss you’ll love the fact that this Weight Watchers breakfast is also dairy-free. Many smoothies include yogurt, which can be a great healthy choice, but if you are cutting back on dairy in your diet it’s hard to find the right mix. 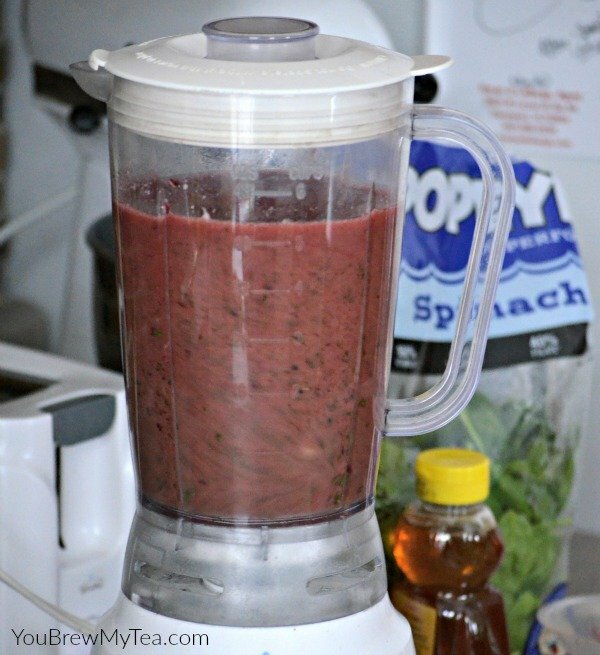 This blend of juice, berries, banana and spinach with a little honey is ideal for anyone and doesn’t create issues if you are on a non-dairy diet. Put all ingredients in blender and pulse until it is smooth. Taste and add more honey if needed. Put all ingredients in blender and pulse until smooth. Taste and add honey in 1 teaspoon increments if mixture needs a bit more sweetener. As you can see, this simple Weight Watchers breakfast easy green smoothie recipe is ideal for making for your entire family. It can be a smaller portion for 4 people as listed in points below, or a heartier portion when you divide into only 2 smoothies. Serve with an egg and toast for a complete breakfast. 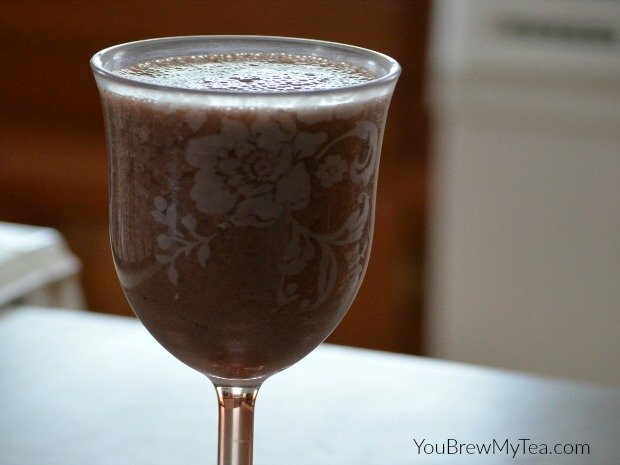 You can also use this same easy Weight Watchers breakfast idea as a dessert option for a sweet “shake” that everyone loves. If you are concerned about adding extra sweetener, raw honey is a great choice. It is full of health benefits, metabolizes slower for those with sugar problems and is an unrefined natural version of a sweetener. Play around with the amount used to see if you like the smoothie without it first, then add in gradually until you find the sweetness you and your family prefer in this delicious easy green smoothie recipe. I use this nutrition calculator and this Weight Watchers points calculator for my figures. These point values may vary depending on products used and the nutritional calculator. Check out some of our other favorite Weight Watchers Breakfast Recipes!